Madison's most desirable beach neighborhood, just one house away from a private sandy beach and close to shopping and the vibrant Village. The house is 3,200 square feet of great family space. The master bedroom has a private balcony with great views of Long Island Sound. There are six bedrooms - one with bunk beds. Three separate family rooms, each with televisions, allow for nice diversions. The classic New England wraparound porch, with its great water views, makes this property truly special. Enjoy all the best of the New England coastal lifestyle in a casual, airy environment. One family per rental please. No weddings or large parties on the property or beach. 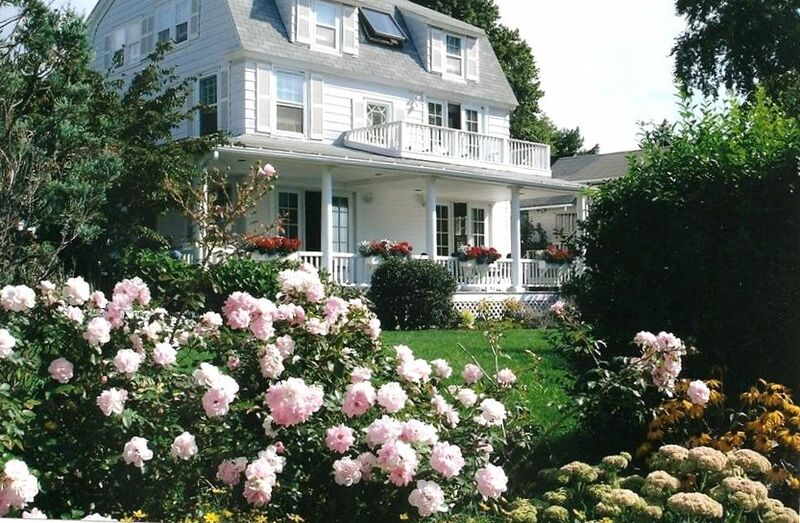 Our family spent eight days at this lovely home located steps away from the Long Island Sound. It was a special occasion for us beyond the holiday cheer. Having located my husband's birth family in the area, we were able to entertain newly found cousins, uncles, aunts, parents throughout the week. The home was spacious and comfortable with everything we needed to prepare and serve meals. We found the perfect location, a lovely home, to reconnect with long lost family. Thank you! We had the most wonderful experience at Tim’s home. It was HUGE! Tons of space and the third floor is ideal for kids (we brought our Xbox to hook up and they hung out up there A LOT! We rented over Thanksgiving and had a fire burning for most of the trip, it was very cozy! Tim was very prompt at returning messages. You can’t beat the location or the price in Madison. You can tell the home has been lived in and loved! A special place in a special town. The house was a good size for our family of five, clean, great location, and reasonably priced. We thoroughly enjoyed our time here and the views of the ocean were spectacular. Tim was a great host and checked in before and during our stay which we appreciated. I wouldn’t hesitate to stay here again. Beautiful property in a perfect location! We chose this home to host our family visiting from Europe. Everything about the property was absolutely perfect. The spacious ocean breeze porch with peaceful views became our daily gathering place. The interior is was ideal to merge the two families and the kitchen had everything we needed to create our favorite gourmet Italian dishes. I highly recommend this property, it will not disappoint!